Merry Christmas and happy holidays to all of you. Have a great new year on and off the snow, no injuries and lots of fun!! We already had some good snow here in Austria this season. I have been riding in the deep snow quite a bit already. 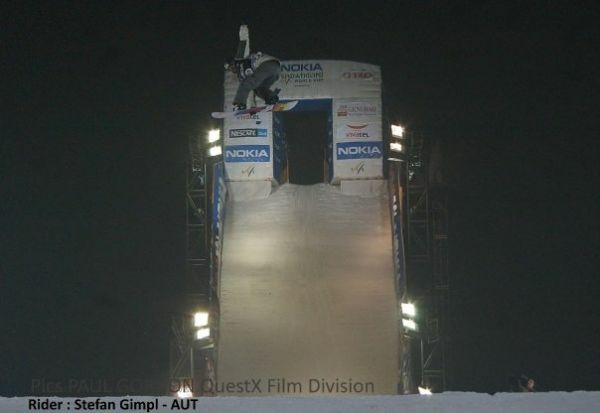 Yesterday I just got back from the big air world cup in Sofia, Bulgaria. I did my best cab 1080 ever. Well it was my first actually, but it was really nice and smooth. So I am stoked about it. And yeah, I won the competition.